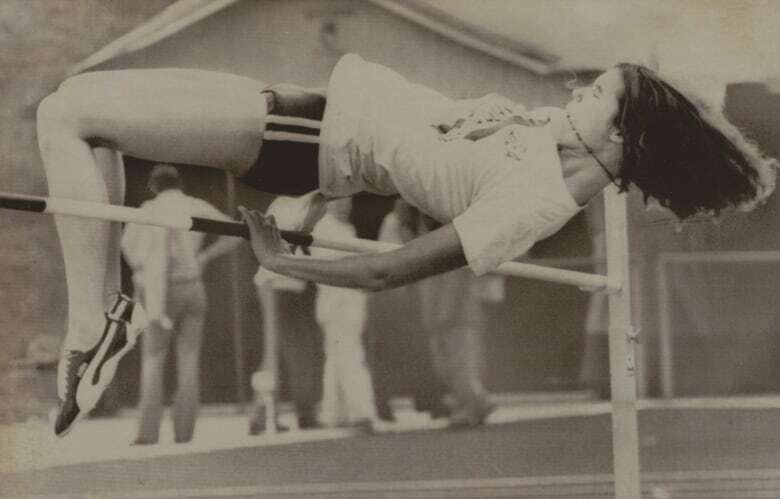 What did Debbie Brill remember the most about her days as a high jumper? The highs and the lows, naturally. What did Debbie Brill remember the most about her days as a high jumper? The highs and the lows, naturally. "Obviously, you remember really well the things that you did terrible at," the Mission, B.C.,-born high jumper once told CBC-TV's Front Page Challenge. "Like, in '76 at the Olympics, I no-heighted and you really can't do any worse than no height at the Olympics. If you're a high jumper, that's it. That's one thing that stands out very clearly." However, the times she set the bar for Canadian high-jumpers and then soared way above it — those were strong memories, too. "In '79 winning the World Cup, setting a world record, things like that," Brill said during the 1986 interview with Front Page Challenge. Her long track-and-field career began when Brill — who turns 66 on Sunday — was still a teenager. "It happened really quickly for me, you know. I started at 14, 15, I was already competing internationally," Brill told CBC-TV's 90 Minutes Live back in 1976. Indeed, Brill leapt over the six-foot mark as a teenage high jumper and she would continue to push the bar higher during her career. She continued to compete into her 30s. Her athletic records continue to stand in Canada long after she set them. According to data listed on the Athletics Canada website, Brill holds both the current outdoor record (1.98 metres, set in 1984) and the indoor record (1.99 metres, set in 1982).